Sub-zero temperatures. Nor’easter. “Wintry mix.” Winter is coming whether you’re prepared or not and it’s going to be cold. You could try to brace the weather with last year’s clearance coat. 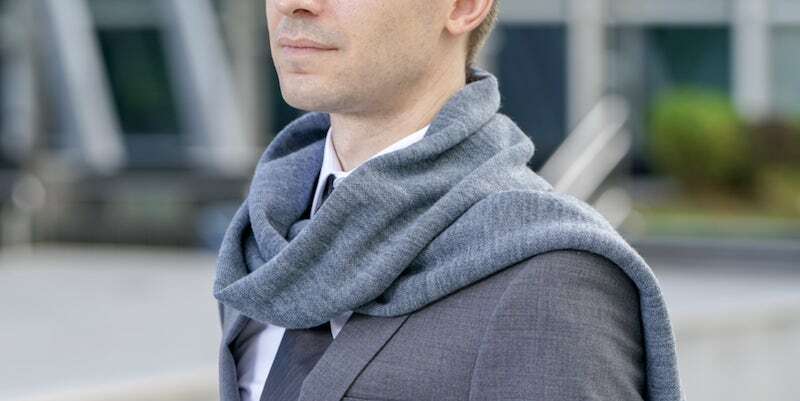 Or, you could use the latest technology to keep warm. What’s the coldest recorded temperature? In the continental US, it’s -70°F although Alaska hit -80°F in 1971. In the world, the lowest recorded was -128.6°F in Antarctica in 1983. What temperature should I set my heat in the winter? While 72°F is the most comfortable while you’re home, you should keep it around 68°F when everyone is out. Is there an affordable personal heater? Absolutely! The Honeywell Ceramic Portable Heater is effective and affordable with a striking design. Do you dread the winter chill? Or do you embrace it in full and head out no matter the weather? Whichever the type you are, battling the harsh cold winter temperatures is grueling and often futile. No matter how many layers you wear, the cold somehow still creeps in. But, you could use the power of technology to be ready for anything Mother Nature has in store. From gloves to socks to scarves, these heated gadgets have built-in warming systems to truly warm you to your core. So much winter wear has a focus on the elements that many brands overlook fashion. But not Nu-Da. These five heated jackets are chock full of style to only add to your look. With three heaters positioned inside, you’ll be too busy noticing all the envious glares to feel the cold weather. If being in the elements is about function over form, the Polar Seal range is for you. Featuring a full-zip hoodie, a vest, and a parka, there’s an article of clothing for everyone’s needs. Plus, one of the three heating pads is a large one across your back – exactly where you’d want it. When the temperatures drop our hands are the first to suffer. They’re usually the last thing we cover, much to their dismay. These 3-in-1 heated gloves feature an inner glove design as well as an outer liner. In total, you get protection from the cold, dry hands, and built-in heaters to keep the feeling in your fingertips. For the times you don’t want to compromise your overall look, the Comfort Touch Scarf will keep you cozy. It has an integrated heating panel to heat you up in only 20 seconds. In addition, the wool material keeps you looking as great as you feel. For your toes, there’s nothing like the Lenz Heated Socks. From winter sports to winter tailgating, these super warm socks keep you toasty for a whopping 14 hours. You can even choose between three heating modes to suit any weather. The Zippo Hand Warmer is quick, easy, and super portable. All you have to do is fill the cup, light the burner, and you’re good to go. The nifty handheld device dishes out some pleasant heat for a full 12 hours. When it’s not in use, you can easy store it in your bag or pocket. It can be hard to escape the winter chill when it creeps into your workspace. Fear not! 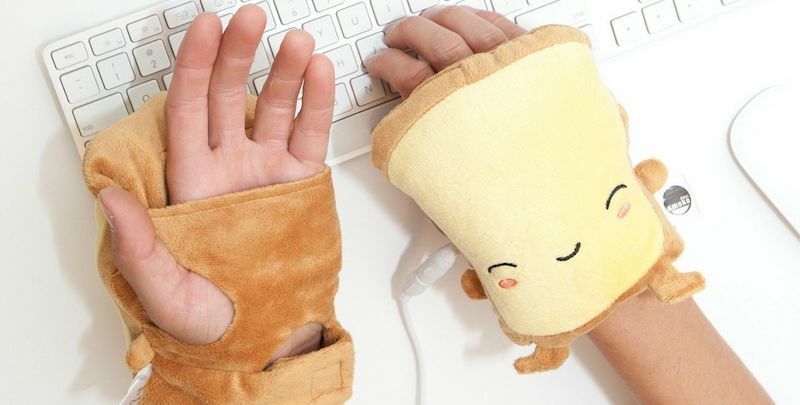 These lovable slices of toast offer a toasty place for your hands. In fact, they comfortably wrap around your hands and plug in via USB. They keep your fingers free, so you can keep typing away. Do you have any tips or tricks for beating the heat? Let us know in the comments!